LUND, Sweden — /February 11, 2019/ — SAGA Diagnostics AB, a genomic testing company focused on precision oncology and non-invasive ultrasensitive monitoring of cancer patients using a simple blood sample, today announces the appointment of a new Director of Finance, Henrik Simonsen, a veteran strategic CFO with over 20 years of executive and corporate finance experience in the life sciences. “We are pleased to welcome Henrik, whose prior achievements in private and public capital raising and investor relations are a perfect fit for SAGA.” – Lao Saal, Co-Founder and CEO. Before joining SAGA, Mr. Simonsen was CFO for Nuevolution AB (publ) from 2005-2018, where he led the raising of SEK 250 million IPO on Nasdaq First North as well as a SEK 110 million directed issue and change of listing to Nasdaq Stockholm. 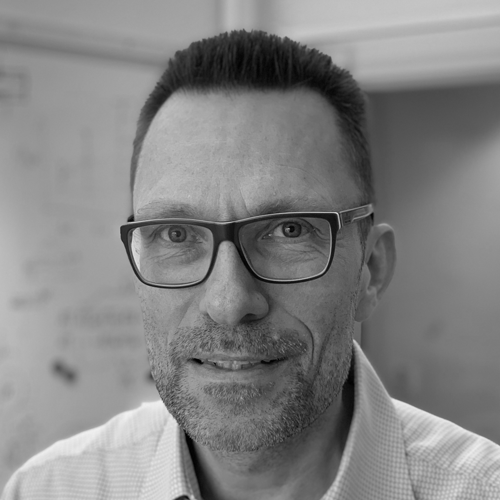 Previously, he was Director, Head of Life Science, Corporate finance for SEB (Skandinaviska Enskilda Banken) in 2012-2015, Senior Analyst in Healthcare at SEB 2004-2011, and Head of healthcare research group (1995-2004) and Equity analyst (1990-1995) at Nordea Securities. He has a Master of Science in Economics from Copenhagen University. “It is excellent timing – SAGA is entering a fundraising mode to continue along the successful path of customer acquisition, and planning for clinical trials – and I am confident that Henrik will help guide our strategy to meet key milestones as we launch products and deliver our uniquely ultrasensitive technologies to help patients with cancer.” – Greg Batcheller, Chairman of the Board. SAGA Diagnostics is a personalized cancer genomics and disease monitoring company that offers molecular genetic testing of tissue biopsies and non-invasive “liquid biopsies” such as blood samples. SAGA helps pharmaceutical companies, scientists, and healthcare providers to detect actionable mutations, stratify patient groups, and monitor treatment response more accurately and to an industry-leading lower limit of detection of 0.001%. Analysis of circulating tumor DNA using these proprietary technologies gives SAGA unique ultrasensitivity, and gives patients peace of mind. Follow us on Twitter @SAGAdiagnostics and LinkedIn.